Product prices and availability are accurate as of 2019-04-15 17:13:26 UTC and are subject to change. Any price and availability information displayed on http://www.amazon.co.uk/ at the time of purchase will apply to the purchase of this product. 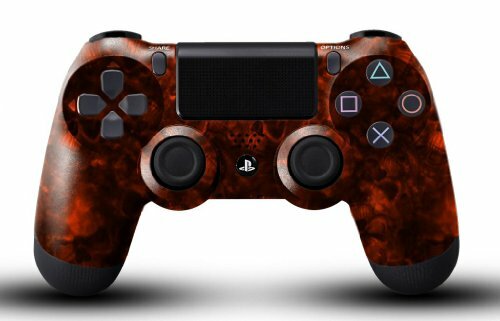 They stripped down the controller and then hydro dipped the front and back shell with a red reaper effect, giving this an awesome look about it. Each controller is finished with a top coat of a glossy clear lacquer to give it that extra protection and extra shine.